Summer’s here, and it’s feelin’ hot, hot, hot! To beat the heat, you may find yourself wanting to take an extra long, cold shower or fill up the kiddie pool over and over again for your tots to splash around in. 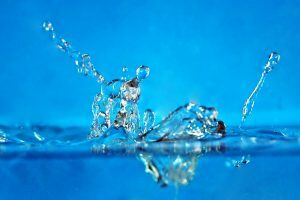 Both are tempting ways to stay cool when it’s a scorcher, but don’t forget that those two solutions involve the use of lots and lots of water. 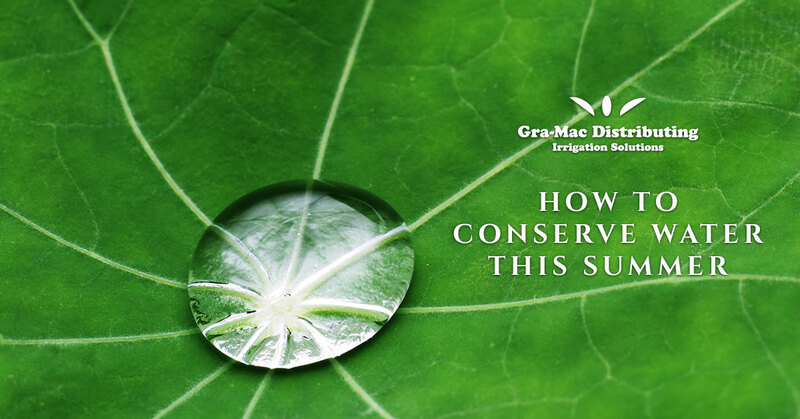 Here at Gra-Mac Distributing, we understand just how valuable water is and how much we use it throughout the day. Whether you are watering your garden or brushing your teeth, it’s important to be aware of how much water you are using and ways you can conserve water that you may otherwise be wasting. Turn off the water when you aren’t using it. This may seem like an extremely obvious concept, but you would be surprised how many people do things like brush their teeth or shave and leave the water running the entire time. Be aware when you are going through these daily, mindless tasks. When you brush your teeth, you really only need to turn on the water two times—once to wet your toothbrush and once to rinse your brush and mouth when you are done. Do not let the water run throughout the duration of your brushing and do not keep the water running while you swish your mouth for several seconds. If you need to shave, fill up your sink with water to rinse your razor between strokes. You waste so much water when you leave the faucet or shower running while you shave! Repair leaks in your plumbing as soon as you notice them. Even if the leak appears to be very small and very slow, there are still a lot of problems that can arise from this. The leak can grow larger and possibly even result in a burst pipe, which will not only waste gallons of water but also cause lots of damages to your home. On this same note, go through your house and make sure all of the your shower and sink handles are tightly turned off. You may think this will only save a few drops of water, but all of those seemingly small drops can add up, resulting in huge amount of wasted water. Again, just be mindful of your surroundings and of all the little things you can do to save water at home. Be aware when you are doing dishes. If you are someone who doesn’t have a dishwater or simply prefers washing dishes by hand, don’t run the water the entire time you are rinsing the soapy dishware. Fill two tubs (or both basins in your kitchen sink) with water. One of the basins you can use for wash water and then other can be filled with rinse water. This will significantly cut down on the amount of water you use when washing dishes. If you are looking for ways to shave time off your total dishwashing experience, be aware of how many dishes you use throughout the day. Do you use a different glass every time you drink water? Do you use multiple plates and bowls throughout the day? If you can cut back on the amount of dishes you use, you will spend less time washing dirty dishware and use less water in doing so! Water your plants and garden with a purpose. Be honest—have you ever mindlessly tossed your hose next a tree or garden to water and gone inside, completely forgetting about the running water? It’s okay, it happens. But you can prevent it from ever happening again by giving the professionals at Gra-Mac Distributing a call today! We offer a number of watering and drip irrigation options that will not only keep your beautiful garden hydrated but also help you conserve our most valuable resource—water!